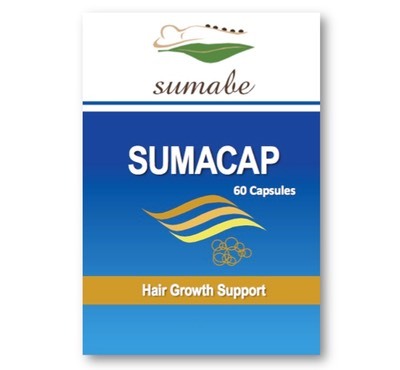 Sumabe® Sumacap is a nutritional supplement, regenerating and strengthening the hair by providing nourishment from within. When hair is affected by dietary deficiencies, it becomes lifeless, brittle and dull. Sumabe® Sumacap contributes to hair growth and brings strength and shine back to hair. Adults, take 2 capsules daily with meals, or as directed by your healthcare professional.